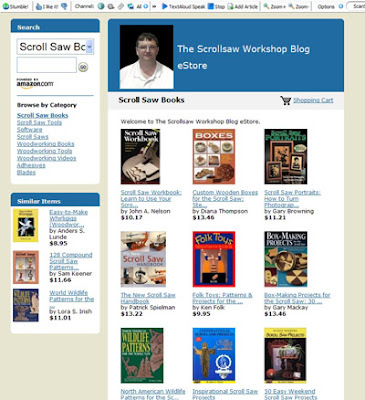 If you are in the market for scroll saw or woodworking books, tools or supplies please consider browsing my online store. You can browse by category to quickly find what need. The Scrollsaw Workshop is an affiliate of Amazon and I am happy to sell their products. This video will explain the Interactive Envelope Tool for creating whimsical scroll saw word art patterns. I have not put up a Corel Draw video in a while and did not want to stop doing them. Several of you have expressed interest in making your own patterns. Corel Draw is an expensive but excellent tool for creating patterns. 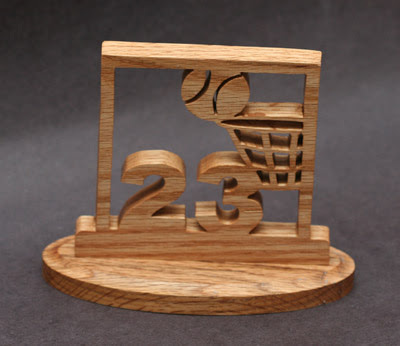 This pattern includes an individual pattern for each basketball number. It also gives an idea how to customize the pattern with names. You might be able to contact your local YMCA/YWCA or local basketball leagues and offer these to parents for a fee. Gentlemen Start your Scroll Saws. 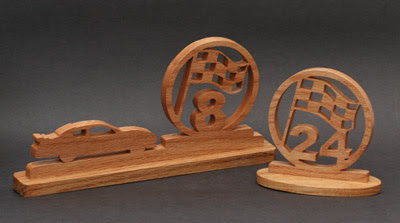 If you have a race fan in your life you know how fanatic they are about their drivers. Give them one of these for a gift. The pattern includes several popular numbers and blanks to make your own. Both of the pictured bases are included. I also included one blank that you could make into a Christmas ornament.